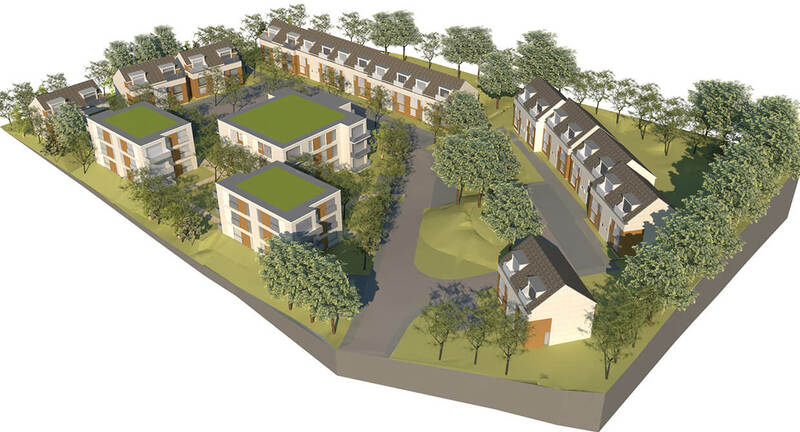 A light industrial facility owned by our client dominating a large site on the south margins of Tunbridge Wells, part of a series of sites in the locality identified by the LPA as suitable for strategic redevelopment, offered an ideal opportunity for change of use and residential redevelopment. The site itself was characterised by undulating ground levels, generally falling to the south and pleasant southerly views. Existing mature tree planting offered a relatively intimate setting. 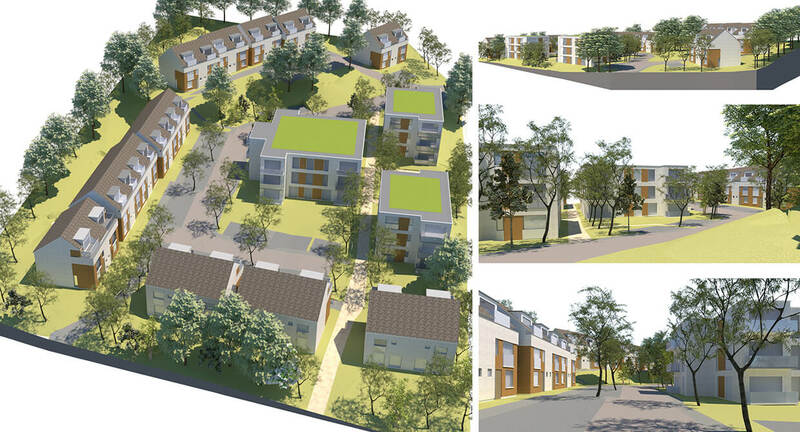 These factors provided a framework for the scheme design as a mix of market and affordable houses and flats. 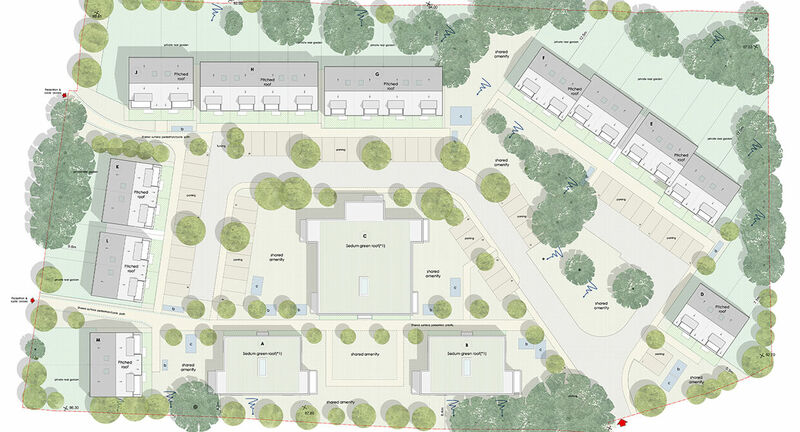 Considerable care was taken at early design stages to integrate built form and new landscaping proposals with the existing land form, and topography, and to promote retention of the site-wide mature stands of trees. Future intersite connectivity and physical development adjacent sites was also factored in.